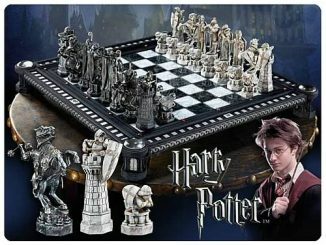 Fancy yourself a Master of Middle Earth, a Wizard of Westeros? 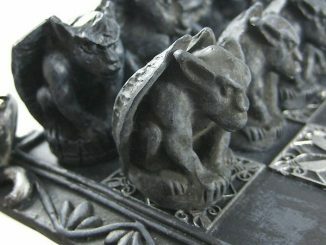 If you love fantasy, you love dragons. 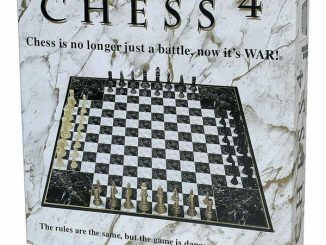 Probably chess, too. 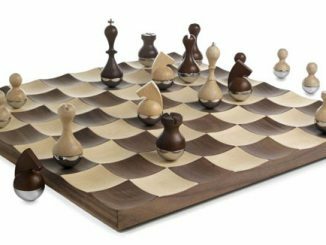 This Medieval Dragon and Knight Chess Board Set combines both is a beautiful piece that will wow your friends. 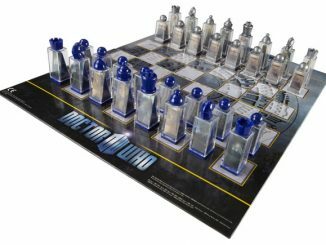 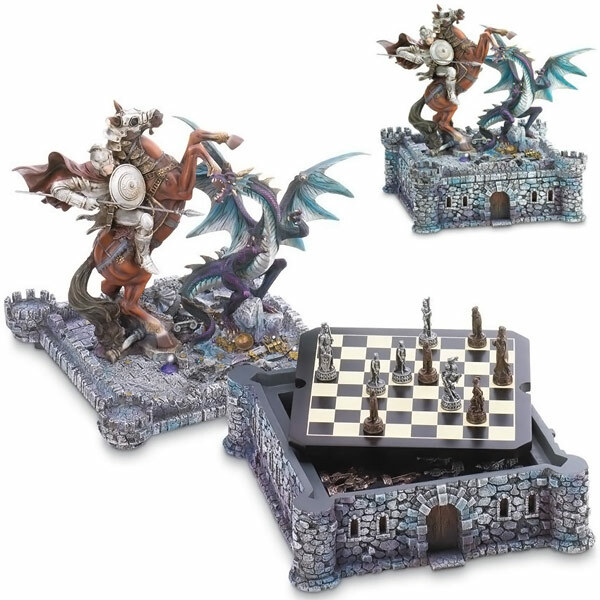 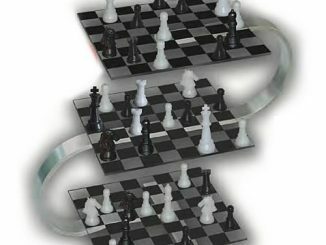 This chess set looks great while you are playing and also when it is put away, since a knight and a dragon do battle on the lid. 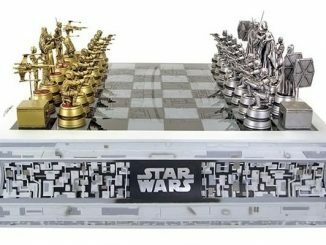 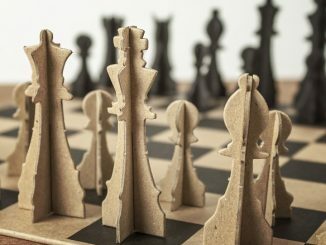 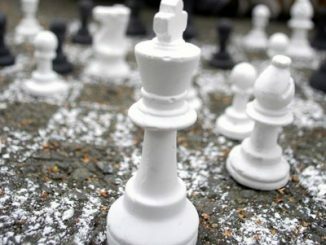 This chess set is a true work of art. 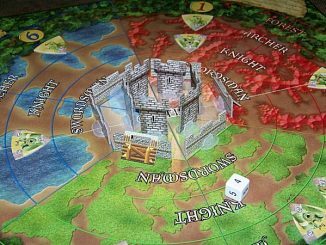 When the board and pieces are not in use, this “castle” sculpture displays nicely. 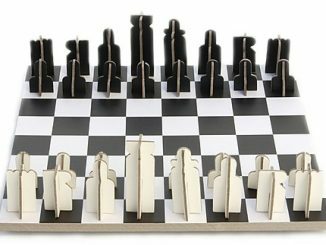 It is made of polyresin and measures 11 1/4″ in diameter x 12″ high. 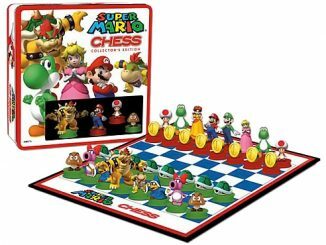 It is only $66.37 from Amazon.com.